On the 12th August 2015, members of MyCDNet participated in a MELP (Monitoring, Evaluation and Learning Plan) training programme provided by Mr Lai Chee Hui, a Master of Research Student in the School of Humanities at USM. He has recently completed and returned from his 3-month foray as Network Attachment in Cap-Net. This training programme was carried out in Indah Water Technical Training Center. 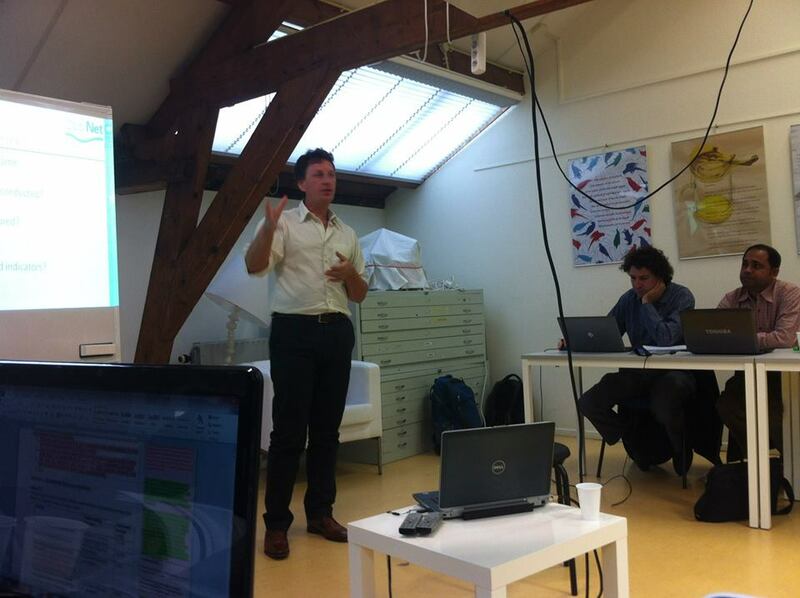 MELP is a management tool useful for monitoring the output, outcomes and impacts of various water related activities. Mr Lai emphasized that MELP is a plan and not a report, and informed the attendees that Cap-Net has decided to rename the MELP Report to an Outcome Evaluation Report as to not create confusion. 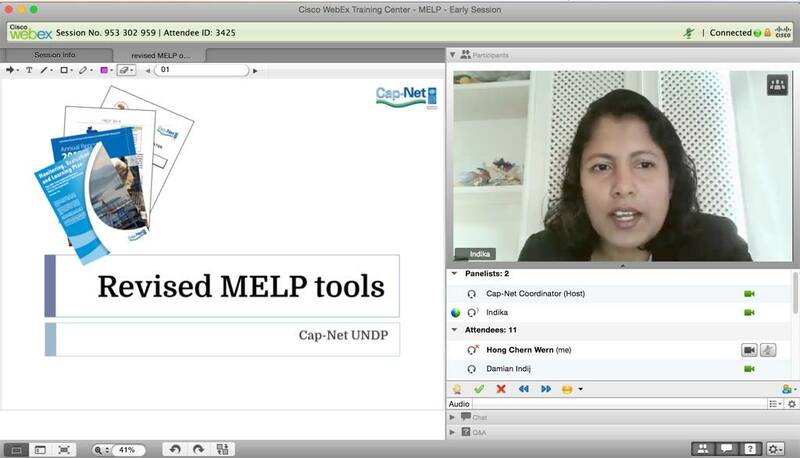 The MELP (Monitoring, Evaluation, Learning Plan) Live Online Session with Cap-Net Partner Networks from around the world took place on the 7 of July 2015. Facilitated by Dr. Indika Gunawardena of Cap-Net UNDP and coordinated by Mr. Damian Indij, the Cap-Net Virtual Campus Coordinator and personnel from ITPreneurs, this pilot session will serve as a new training method as well as towards better preparation in the upcoming Cap-Net Virtual Campus Courses. The video can be viewed via Cap-Net Water Channel on Youtube. For more information, please contact Dr. Indika Gunawardana. Monitoring and Measuring Capacity Building Networks Performance in 2004 . The report summarises the results of a self assessment of capacity building networks carried out in December 2004. It provides an insight into the complexity of network management and the challenges to become effective as facilitators of capacity building delivery. Comments Off on Monitoring and Measuring Capacity Building Networks Performance in 2004 . The training report and materials for MELP Training 2014 which was held in Delft, The Netherlands is available for download in pdf format here. 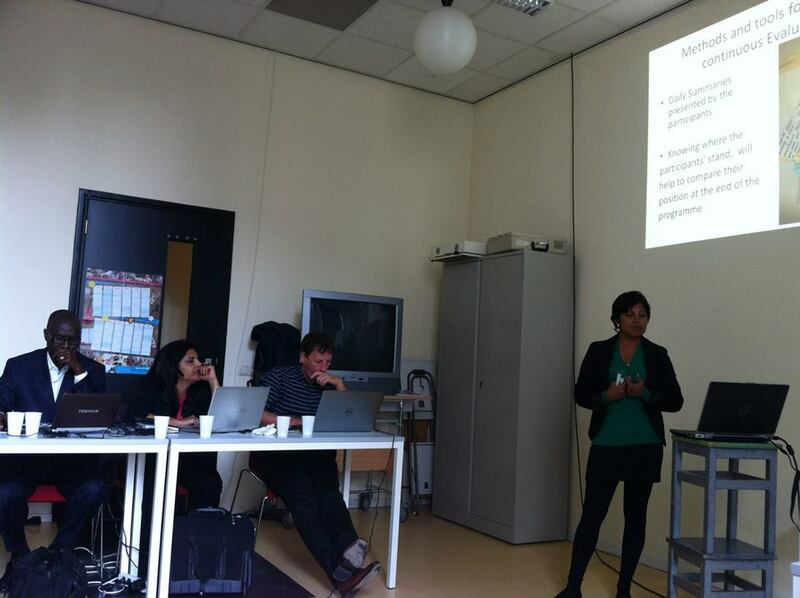 Managers from Cap-Net affiliated networks met at Delft, The Netherlands, April 23-25, to revise and agree on practices for monitoring impact, assessing performance, and elaborating learning plans for increased efficiency in capacity development. Sessions are guided by Cap-Net’s “MELP -Monitoring, Evaluation, and Learning Plan”; a document prepared to ensure adequate monitoring of the project and assist partner networks monitor their own activities. The MELP consists of 5 tools to be applied by the by the project management team and network partners towards output areas as efficiency of networks, knowledge management, and capacity development delivery. The 3-day training course in Delft allowed sharing of experiences, and profound analysis of methods and strategies to ap ply these tools, and the relevance of the information both for the success of the networks as well as for the Cap-Net Programme. Participating network managers have reached consensus on the relevance of these tools and methodologies for application thus setting the goal for the end of 2014 that each partner network will have an available MELP report.